The discovery that fat contains masses of progenitor cells makes the “paunch” a preferred source for autologous cells for tissue engineers. Whether for infarction or autism: Fat stem cells supposedly work wonders. But the killer application might lurk somewhere else: For reconstruction of the breast or its enlargement. A small syringe, sucking a bit of the fat of the belly region; an innovative machine, whisking the fat until just a highly concentrated cell soup of tissue stem cells is left, and a brilliant injection technology with kind of a brush needle. It doesn’t take more to make an old esthetic-medical dream come true: The permanent reconstruction of the female breast, completely without silicone and other artificial knick-knacks. A phantasy? Not really. Mostly unnoticed by a broader public, the US company Cytori Therapeutics has received an up to now unique CE approval in July in Europe, an area for sure not short of medical devices, and to be more precise, an expanded approval for a medical product distributed by the company. Its celution system now can – as the most relevant among several new indications – also be marketed for breast reconstruction and breast enlargement. Celution is a box on wheels reminding a bit of a mobile dialysis unit. It’s being fed with the patient’s own fat tissue gained by liposuction from the belly fat. And what’s happening then reminds almost a bit of alchemy. With the aid of a number of enzymes, the fat tissue is taken apart but in a way where the cells remain intact. 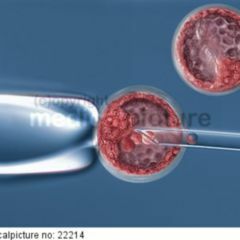 Afterwards a centrifuge separates various cell types, adipocytes on one side and fat tissue stem cells, the so-called progenitor cells, on the other side. This highly concentrated suspension of tissue stem cells is mixed with a small amount of the sucked off fat. At the end you have an injection solution of body-own fat containing an extremely high concentration of precursor cells. That’s the raw material for future breast reconstruction, autologous stem cell transplantation – if you want – but at an unusual spot. 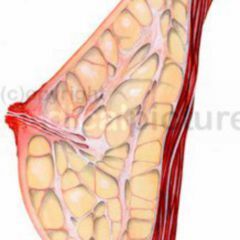 Of course it’s not really new to use fat for breast reconstruction. So far, the procedure did not really convince yet, mainly because the results were not lasting. The manufacturer Cytori now declares that they solved the problem of lacking permanence of fat-built breasts by enhancement with tissue stem cells. 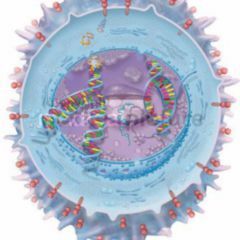 Since the stem cells perform strong growth stimulations, among others on blood vessels, the cells are supposed to be able to anchor on a permanent basis. Naturally it depends on the size of the “construction site” how much fat is needed for a breast reconstruction. In a study, the researchers were able to enlarge the bust measurement by four centimeters with an injection of 160 milliliters of a fat stem cell concentrate. That much for theory; but how does it look when it comes to hard clinical data? Do the fat stem cells keep the promise made? Do they really bring more permanent results than “fat alone”? The first study about this question, the RESTORE 1-study, was made in Japan, one of the world’s strongholds of breast reconstruction. The results of RESTORE 1 were introduced end of 2007 during the San Antonio Breast Cancer Meeting. In a total of 20 women, no immunological complications appeared and nearly 80 percent were satisfied with the cosmetic result. 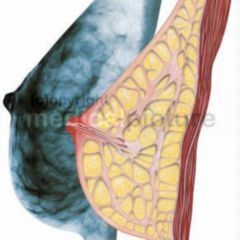 Between month one and month twelve, they had no significant loss of breast size, as head of the study Keizo Sugimachi explained. RESTORE 1 was followed by RESTORE 2, a European study made with women after a breast cancer surgery. Its interim results were a topic at the SABCM 2009 and again during the British Oncoplastic Surgery Meeting 2010. At the time of the last evaluation in summer 2010, the 6-months follow-up for 51 women was concluded and the 12-months follow-up for30 women. 84 percent of the physicians were satisfied with the result of the reconstruction after six months. 90 percent of the physicians were satisfied with the 12-months follow-up of those 30 women evaluable until then. The rate of patients satisfied was at 73 percent after 6 months and 70 percent after 12 months. 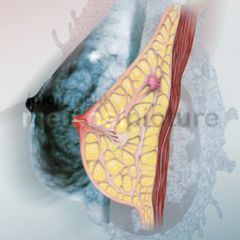 Both RESTORE-studies concentrated on reconstruction of the breast after a tumor surgery. But from an economic point of view, the breast augmentation due to a purely cosmetic indication is a whole lot more interesting to the companies involved.